Starbucks’ seasonal corporate branding has drawn the ire of consumers who are rallying an online protest movement sparked by a self-proclaimed “Internet and social media personality” named Joshua Feuerstein. Starbucks has been rolling out its Christmas cup edition since 1997. It has featured several winter-themed illustrations ranging from snowflakes drawings to festive ornaments. Each year, the company unveils a design that is distinctive from the last. This year, the coffee chain took a minimalist approach to its holiday cup design:“The iconic red Starbucks cup features a two-toned ombré design, with a bright poppy color on top that shades into a darker cranberry below,” the company said in a statement. Ironically, Feuerstein attempts to boycott the business by getting as many people to buy a cup of Starbucks coffee. The video has garnered over 15 million views. Starbucks has since released a statement following the online backlash from those who are convinced of the company’s misplaced festive neutrality. “Taking a cue from customers who have been doodling designs on cups for years, this year’s design is another way Starbucks is inviting customers to create their own stories with a red cup that mimics a blank canvas,” the company said. Commenting on the viral nature Feuerstein’s rant, Preetham Venkky, head of digital of KRDS Singapore, said while everyone has a right to communicate and protest a brand, such a mass online movement was easy to galvanise because it required minimal involvement from participants. “The protest was anchored on a hashtag movement from those who share his strong opinions. The reason his rant gained so much prominence in such a short span of time is due to his large online following,” Venkky said. Social media played its own role in the backlash, given Feuerstein’s predominance on social. He boasts a following of almost two million users on Facebook. Though a large part of Feuerstein’s rant was built on exaggerated grounds, consumers also got a chance to see Starbucks’ side of the story. This, according to Venkky, resulted in free publicity for the brand. 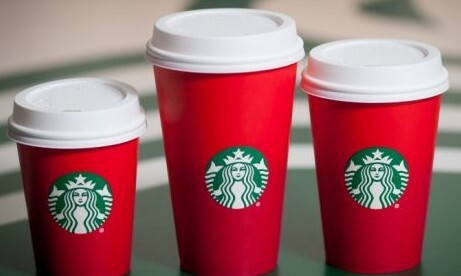 This controversy wouldn’t really impact the brand because the conversation is really between two camps: the illogical pro-Christmas consumers vs logical consumers who understand that the red cups had nothing to do with being anti-Christian. “Whenever there are polarising views, it tends to go viral – viral content only works when you can polarise illogical sentiments with the rest of the world. The ‘logical’ consumers would rightfully call him out for what he is,” Venkky added. Is social media fanning the flame? “It’s hard to argue the impact of over 15 million views from a single Facebook post. And he has proved that timing and relevance is everything when it comes to social content — something perhaps more brands should stand up and take notice of when planning their own content strategies and executions,” Anderson said. Though Feuerstein has somewhat hijacked the holiday season conversation with a semi-authentic diatribe, its entertainment value is worth noting: “That’s essentially the role of social media. Promoting conversation and dialogue, and bringing people together around that. What’s even more interesting quickly it has racked up views on Facebook — that further cements the increasing significance of video on the platform and its potential threat to YouTube as the ‘go-to’ destination for this sort of thing,” Anderson added. Anderson also praised the brand’s response to the boycott explaining that the message of adopting a blank canvas to encourage personalisation and individual story telling is a current theme in all marketing. He hopes that more brands adopt similar marketing mantra in 2016. “If Feurerstein’s social tirade has any redeeming conversational value it is his on-the-money point about some brands becoming quite politically correct and less willing to take risks to avoid alienating their customers. But then again, that’s really a reflection of society in general, not just brands themselves,” Anderson said.